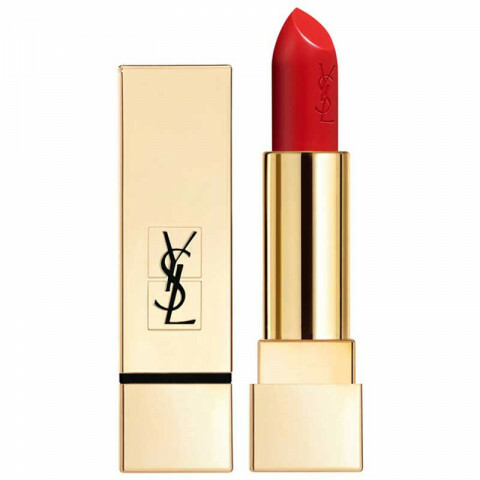 Re-introducing Yves Saint Laurent's iconic Rouge Pur Couture lipcolor. In just one stroke, luxurious, rich color dresses the lips with intense hydration and antioxidant care. In a signature couture jewel-like packaging, Rouge Pur Couture delivers the promise of edgy style and ultimate feminine strength. beautiful lip product that applies super smooth and lasts through the day. I have used number 19 and 340 and all are wonder. My favorite pigmented color is the 53. It gives me a bold, edgy look. Gorgeous shades, creamy, pigmented, and long lasting. Keeps my lips moistured. Full coverage. lovely lipstick, great pigment that lasts a long time. so many beautiful shades to choose from. amazing pigmentation and lasting power. feels very comfortable on the lips and does not feather. great lipstick range! it is the perfect red shade, use it every time I go out. These lipsticks are so buttery, creamy and perfect! I have Le Rouge, Le Fuschia, Le Nu, Rouge Rose & Rose Stiletto. They are long lasting and make your lips appear fuller. The beige was my favorite, not only the color is so flattering but also has a great consistency. I got a coral pink color, it is so beautiful on the lip. It is also a little bit dry, but it doesn't matter.